Well, Christmas break came to an end yesterday. Back to the classroom for two days of in-service and preparing for the new theme. 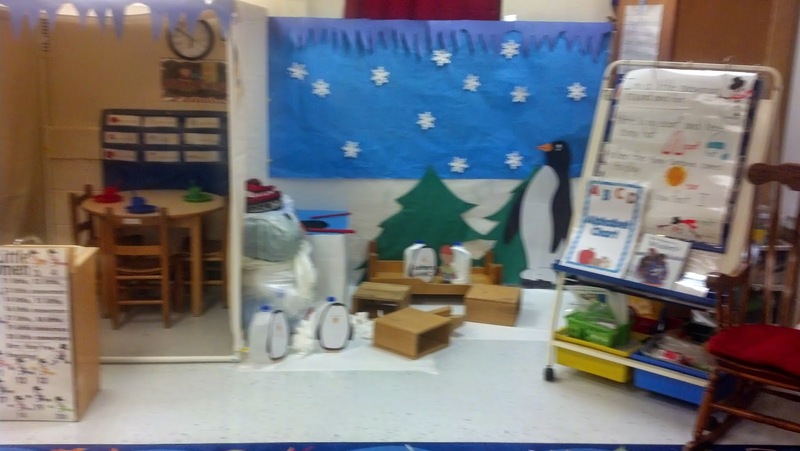 I was fortunate to have almost the entire two days free to re-arrange and transform my dramatic play center into a winter wonderland. I really wanted to make a milk jug igloo but didn't have enough milk jugs. I backed up and "punted!" I went to Pinterest.com for some ideas. I found a PVC fort that didn't look too difficult to make. 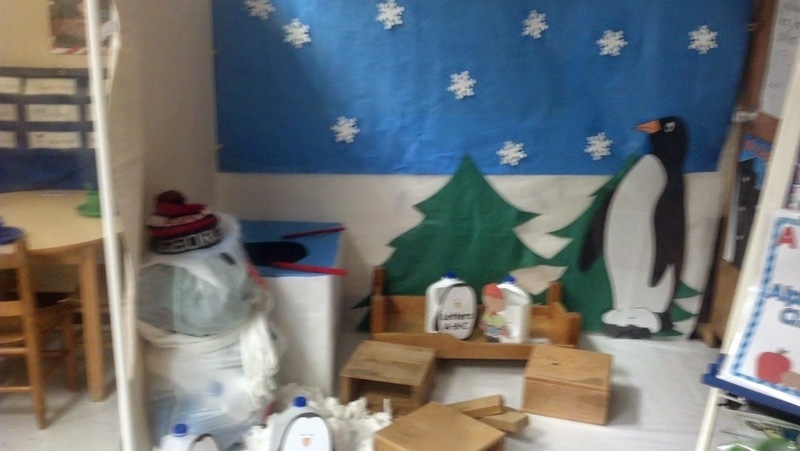 I also added milk jug penguins, a "cradle" sled, a snowman for the students to make, ice fishing for letters, shapes, numbers, and colors; ice blocks to sit on, and a fire to roast marshmallows. Inside the "ice" fort the students can make alphabet soup and words using the magnetic letters. There is also a life size Emperor penguin for the students to measure themselves against. I can't wait for the kids to see it and explore the different areas. Snowman, penguins, campfire oh my! So many choices.